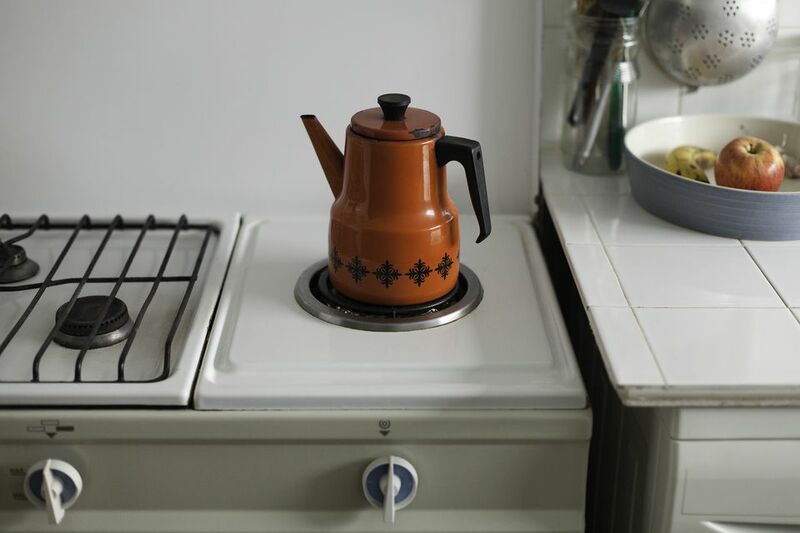 A buildup of coffee residue and mineral deposits (scale) from water can affect the flavor of your coffee and clog the components of your coffee maker. Over time, it may impair your brewer's efficient drip operation. Coffee grounds have natural oils that aren't removed by rinsing with water. You may notice your coffee becoming increasingly bitter if you don't clean the brewing basket and other parts regularly. The moist environment of leftover coffee grounds can lead to the growth of yeasts, molds, or bacteria. Mineral deposits, especially if you have hard water, will narrow the water channel and your coffee maker will work more and more slowly if they are not removed. You should clean your coffee maker after every use, removing the grounds and cleaning the brew basket, lid, and carafe. The deeper cleaning of descaling to remove mineral deposits should be done at least every three months. If your home has hard water (water with heavy mineral content), or if you tend to fill the water reservoir of your coffee maker from a rinsed carafe (not washed), the residue may build up more quickly. In this case, a monthly cleaning is recommended. Some coffee makers have an audible or visible cleaning signal and that usually precedes a forced downtime. You can avoid the downtime by being proactive with maintenance. Other brewers have a cleaning cycle set-up, which is usually detailed in the manual. Always follow the manufacturer's detailed instructions for cleaning. After each use, remove the brew basket and discard the grounds and any disposable paper filter. Partially fill your sink or a suitable container with hot water. Add dishwashing liquid, especially a brand that is formulated for removing oil. Place the brew basket and, if using, permanent filter into the soapy water. Wash with a sponge or soft cloth to remove any coffee grounds and oily residue. Discard any remaining coffee and rinse the carafe in warm water. Add a little of the warm soapy water and clean the carafe with a sponge brush. Rinse the brew basket, permanent filter, and carafe with warm water. Wipe with a soft cloth and set to dry. Dip a soft cloth or paper towel in the soapy water and wipe down the inner lid, outer lid, and brewing area to remove any residue. Dampen a cloth in fresh water to wipe away any soap residue. When the parts are dry, put your coffee maker back together. Your coffee maker is now clean and ready for its next use! Use this process to descale your coffee maker, removing the calcium mineral buildup. Before you begin, check your coffee machine's manual to ensure that cleaning with vinegar is recommended by the manufacturer. There are some brands that do not advise it, usually because of their coffee maker's metal parts. Empty your coffee maker, remove and clean the carafe, brew basket, and permanent filter with hot soapy water. Remove the water filter, if applicable. Replace the empty filter basket and carafe. Mix equal parts white vinegar and water, sufficient to fill your water reservoir. One easy way to do this is to fill the chamber to half with vinegar and then fill to the top with water. But if you can't see the level in your brewer, mix it separately to add. Fill your water reservoir with the vinegar and water solution. If you use paper filters, place a paper filter in the brew basket. Run your coffee maker through half of a drip cycle, stopping it so the solution can sit in the reservoir and the water channel. Allow it to sit for 30 minutes to an hour in both the reservoir and the carafe. After 30 to 60 minutes, resume the brew cycle and finish brewing the vinegar and water mixture through your coffee maker. Discard the vinegar and water solution from the carafe and replace the paper filter (if using). Fill the water chamber with plain water and run it through the system for a full brew cycle. Discard the brew water, replace the paper filter (if using). Allow the coffee maker to cool down. Repeat a full brew cycle with water. Clean the removable filter basket, permanent filter, and carafe with hot, soapy water. A change of water filter is also a good idea if your brewer has one. Thoroughly wipe the exterior of your coffee maker. Your coffee maker is now ready to resume operation, and you may notice a better taste to your coffee. Use demineralized water when brewing coffee. If you are using the carafe to fill the water reservoir, do so only if you clean the carafe with hot, soapy water after each use. Don't leave wet, used grounds in the coffee maker for any length of time, or you may have growth of mold, yeast, or bacteria. K-Cup brewers, like Keurig machines, need a thorough, detailed cleaning to remove trapped coffee residue from the impact needle as well as to clean the brewer. Follow the manufacturer's detailed instructions.